1: Why is the fire candle orange instead of red? 2: Are your candles ecological friendly? 3: How do I use fengshui candles? Answer: There are many different schools and theories on fengshui, so best to follow a style that makes sense to you. Below are some links to websites that might be helpful to the beginner. 4: Why 5 elements instead of the classical 4? These handmade candles are poured in a palm wax that crystalizes to form a beautiful marbleized finish. Each candle is unique. 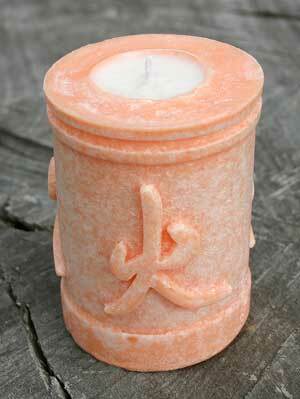 The handcrafted calligraphy for each element is an integral part of the candle. 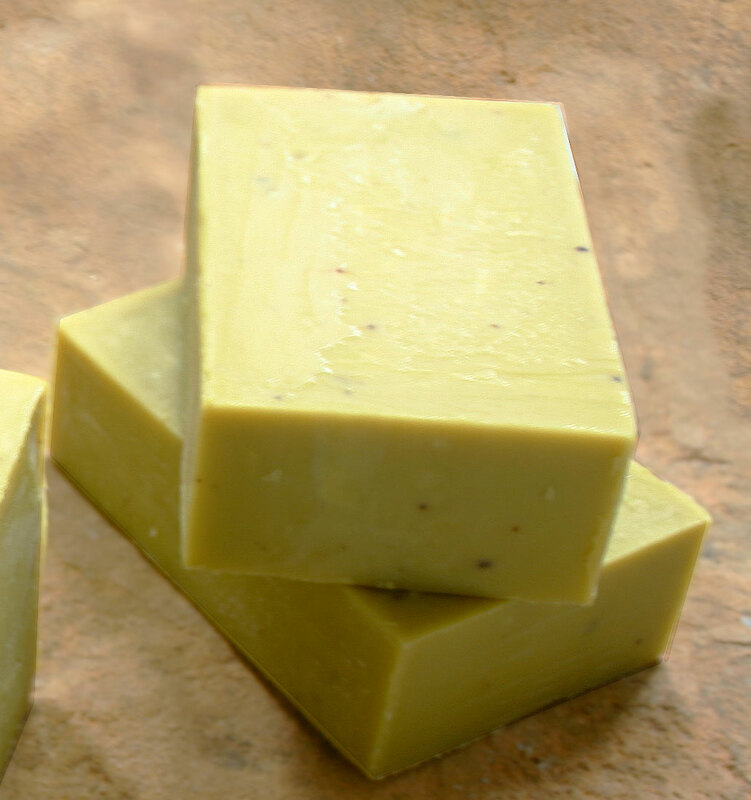 When burned, the hard palm wax mixes with the softer soy/palm wax center to provide a long lasting, clean flame than tunnels downward, leaving a thin outer shell that glows. For safety, never leave a burning candle unattended and always use a noncombustible candle holder or plate. FengShui (風水) in Chinese translates literally to Wind-Water in English. Perhaps a better translation is "gentle wind and gentle water" because its goal is to create calmness, peacefulness, and harmony within ourselves, our homes, and our surroundings. Much like acupuncture, fengshui practice manipulates "invisible forces" that bind the universe, earth, and humanity together, known as Qi (氣). There are several schools of fengshui and not all believe or follow the same ideology or use the same tools, but all agree that living in harmony with nature and allowing Qi to flow unobstructed is important to one's wellbeing. One of the basic principles of fengshui is the principle of five elements (Wu Xing 五行), which are Wood, Fire, Earth, Metal and Water. These elements interact between themselves in productive and destructive cycles. Each fengshui element is represented by a specific energy, shape, scent, and color. 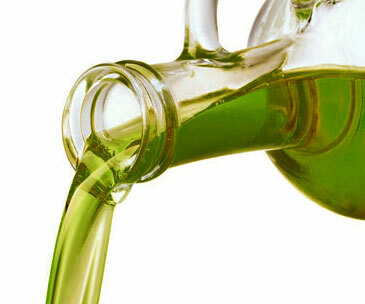 100% Natural waxes from renewable sources, IFRA compliant fragrance oils, and natural cotton/paper wick. Hard palm wax exterior with soft soy/palm wax center (yin/yang=harmony). Lightly scented in appropriate fengshui scents for each element. Long burning, clean flame. 3.25" x 4" (13 ounces each). 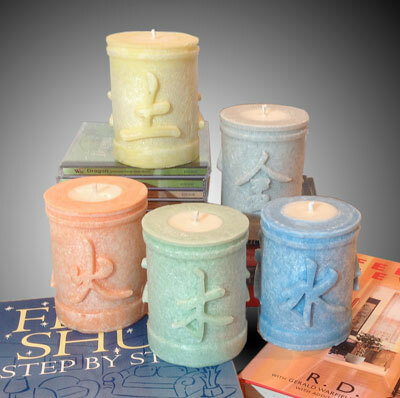 3 custom calligraphy characters on each candle (a lucky fengshui number). WATER: (水 shuǐ) In Fengshui, Water represents a yin energy, movement, flow, spirituality, reflection, meditation, etc. The energy of a gentle river, fountain, or stream. 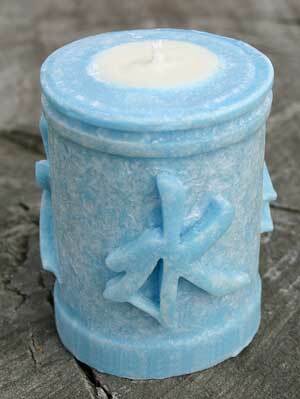 Our water candle's color is blue and it has a light plumeria scent. Other than the obvious use of enhancing the water element, a water element can be used to fortify the wood element, or to control excess fire. A balance of water brings about inspiration, wisdom and insightfulness. Excess water can create the feeling of unbalance and can make you feel overwhelmed and overly social. Too little water and you may experience loneliness, isolation, stress and triviality. EARTH: (土 tǔ) In FengShui, the Earth element offers protection, stability and security. Earth makes you grounded, stable, and balanced. Our earth candle's color is yellow and it has a light vanilla scent. 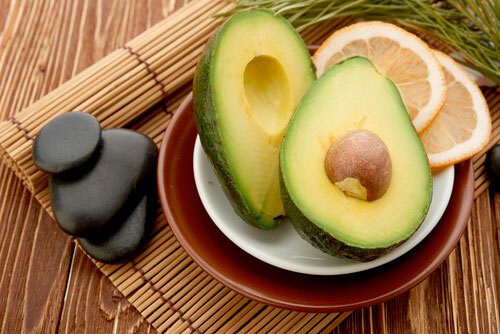 Can be used for enhancing the earth element, to fortify the metal element, or to control excess water. Earth affects physical strength and order while generating an overall feeling of grounding, balance and stability. An overabundance of earth energy and people will often notice a heavy sensation and can experience boredom, sluggishness and seriousness. Too little earth, people may feel disorganized, chaotic and unfocused. METAL: (金 jīn) Metal affects mental clarity and logic. If you need to focus on a particular project, add metal to your life. The presence of metal within a room can be felt in personal characteristics such as organization, focus, righteousness and analytical abilities. Our metal candle's color is gray and is lightly scented with a cool cucumber scent. This candle can be used to enhance the metal element, fortify the water element, or control the wood element. When surrounded with too much metal, a person can be seen as chatty, overly critical and prone to speaking without thinking. When there's too little metal, a person may notice a feeling of quiet, cautiousness and lack of focus. FIRE: (火 huǒ) Increase enthusiasm and leadership skills by maximizing the fire element. Fire energy represents passion, emotion, and high energy. Our fire candle's color is orange and is lightly scented with cinnamon. Use this element in design to encourage expressiveness, inspiration and boldness. 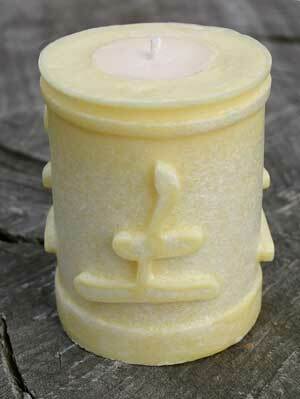 This candle can be used to enhance the fire element, fortify the earth element, or control the metal element. When there's an overabundance of fire, it can show itself as anger, aggression, irritability and impulsive behavior, whereas too little can show up as emotional coldness, lack of vision, articulateness, and self-esteem. WOOD: (木 mù) Wood is the Element that represents growth, expansion, and vitality in your life. Wood harnesses the power of creativity and expansion while representing traits such as growth, birth, strength, flexibility and intuition. 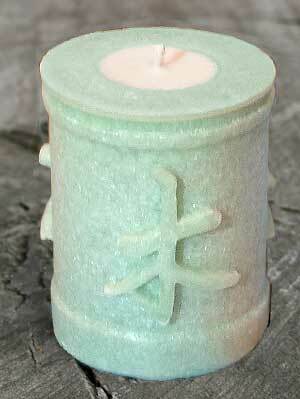 Our wood candle's color is green and is lightly scented with sandlewood. 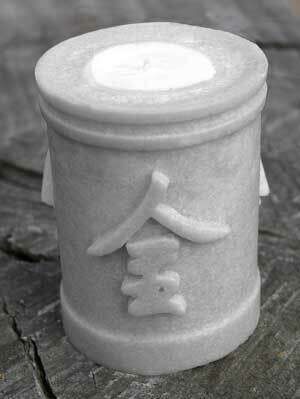 This candle can enhance the wood element, fortify the fire element, or control the earth element. Too much wood energy can make you feel overwhelmed, rigid, stubborn and inflexible, whereas too little can show up as a lack of creativity or depression, uncertainty and tentativeness.